During every sess ion of the Professional Fellows Program (PFP), the State Department selects PFP alumni that have continued to make exceptional contributions in their own communities and presents them with the Alumni Impact Award (AIA). Legacy is honored to have two alumni earning an AIA this year; Zeinab Metwally and Steve Coleman. These two impressive change-makers represent Legacy’s 6th and 7th time having an alumni earn this distinction. The fact that Zeinab and Steve are being honored in the same award cycle is even more special because of their close relationship. Steve was the fellowship host for Zeinab during her time in the U.S. The quote above from Steve not only encapsulates his experience working with Zeinab, but that of everyone she encountered in her time before, during, and after the Professional Fellows Program. 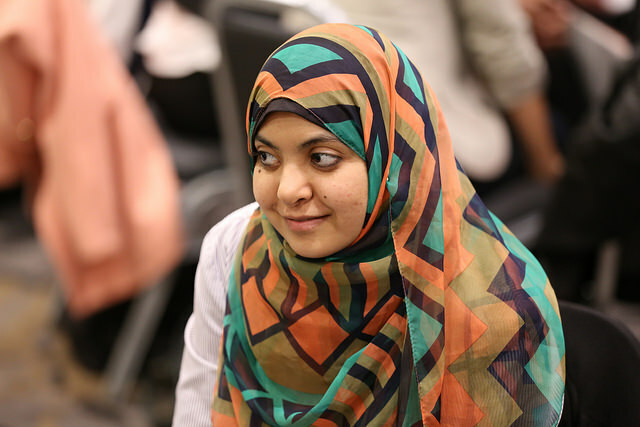 Being part of the Fall 2015 PFP group, Zeinab quickly connected with the other fellows in the program, the staff of Legacy, and the entire team at Washington Parks and People (WPP). Her gentleness, warmth and empathy when engaging others is at the core of how she approaches challenges within her own community and during her time in D.C. Jumping into her fellowship with both feet, she researched funding and tax credits for the historic preservation of the home of WPP; the Josephine Butler Parks Center. As a result of her efforts, she identified millions of dollars of potential new money. Her connection to the team at WPP was so strong, that long after her she returned home to Egypt, she would still Skype into their staff meetings. After her fellowship, she returned to Cairo and completed her follow-on project, engaging with 80 young Egyptians around the importance of understanding their countries legacy and developing their moral principles. Steve Coleman is equally as impressive as Zeinab. After hosting Zeinab in the Fall of 2015, he has hosted three more fellows at Washington Parks and People. For more than 25 years, Steve has lead efforts to revitalize DC neighborhoods. With a simple and effective approach to community engagement and community transformation, Steve has impacted many parks and communities in the DC area, most notable was his success in transitioning Malcolm X/Meridian Hill park from one of the most violent parks in the region to one of the safest. In supporting both his own team at WPP and the fellows that he has hosted, Steve’s person-centered and empathetic leadership style has allowed him and all that work with him to form tight bonds and work effectively as a team to bring creativity, focus, and innovation to the communities they serve. Steve also served as a delegate on the Outbound Program to Egypt with Legacy in March of 2017. Approaching his experience with openness, gratefulness, curiosity, and understanding, Steve relished every opportunity to talk with the fellows and other Egyptians and to explore the vibrant communities of Cairo. 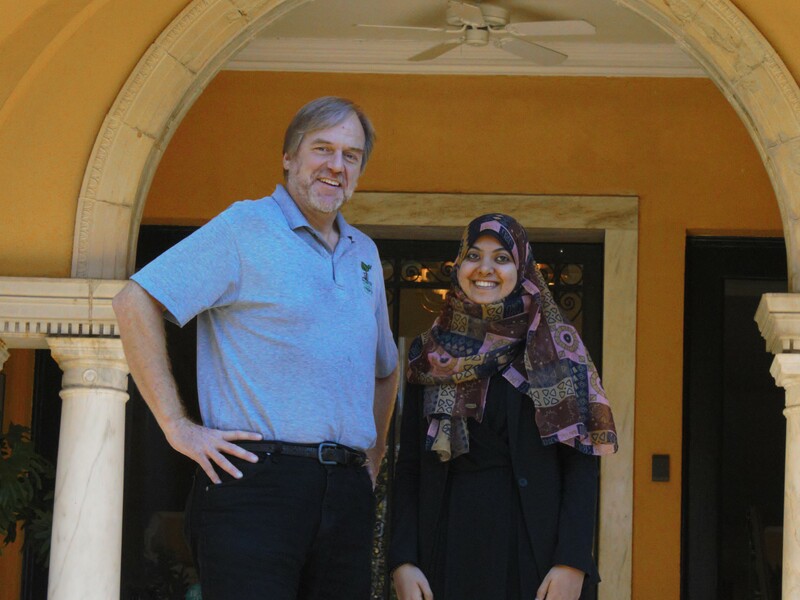 Zeinab, who had been considering starting her own version of Washington Parks and People in Cairo, was able to reconnect with Steve. The pair toured around Cairo with a small group and Steve was able to learning about Cairo’s parks and communities while connecting with local residents and experiencing a true moment of cultural exchange. Zeinab and Steve’s outstanding achievements will be acknowledged at the upcoming Fall Professional Fellows Congress in Washington, D.C. They both will discuss their work and have the chance to connect with the current fellows from around the world. The Professional Fellows Program is sponsored by the United States Department of State, Bureau of Educational and Cultural Affairs, and administered by Legacy International.